18ct rose gold 12.65ct smokey quartz & 0.08ct diamond ring. 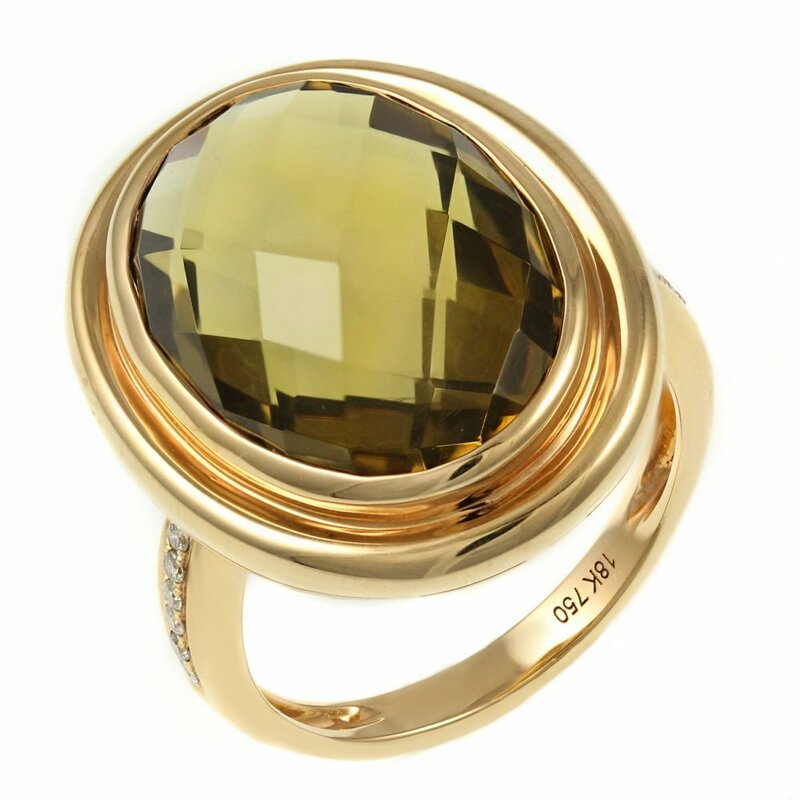 Oval harlequin cut smokey quartz in a rubover setting. Round brilliant cut diamond shoulders in a micro claw setting. 2.60mm band width. Ring size M 1/2. Can be sized if required.